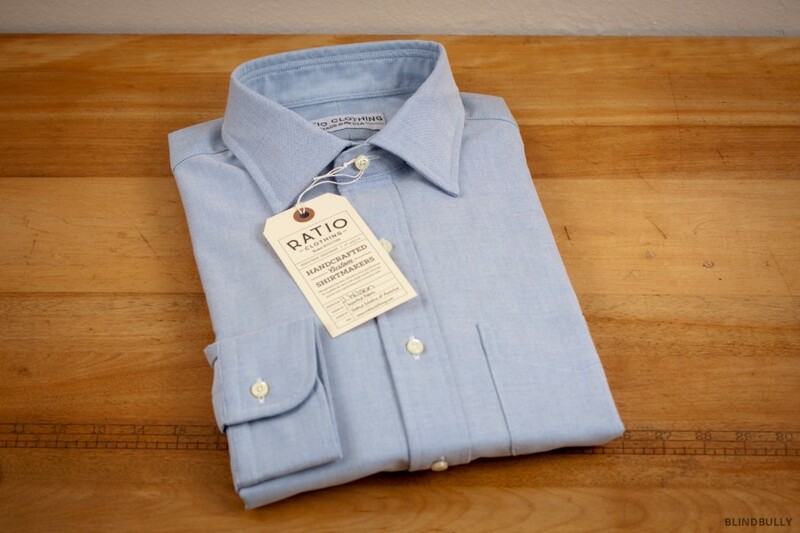 Ratio Clothing Blue Oxford Campus Shirt in 50’s Single-Ply Cotton. USA. 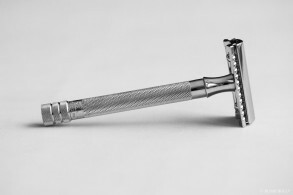 $98. Purchase. 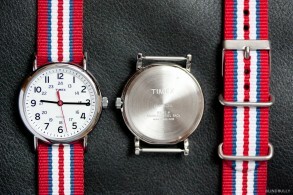 Timex Weekender Watch with Red, White, & Blue Strap. $50. Purchase. 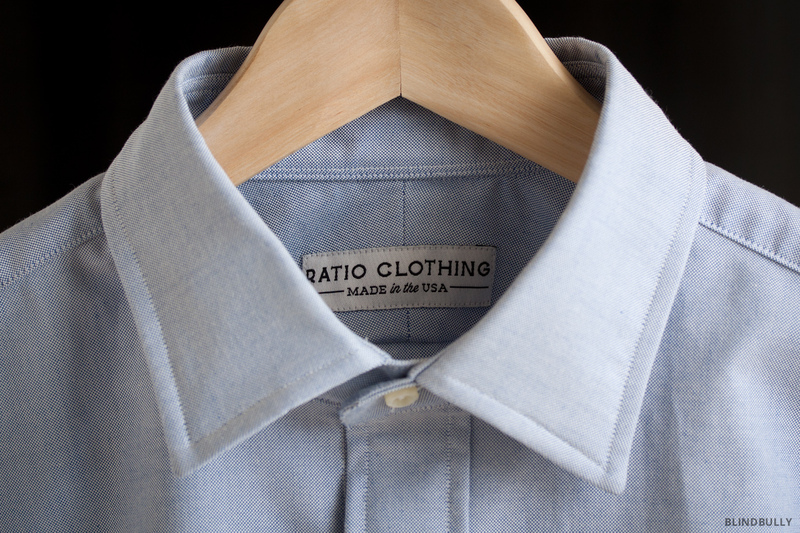 Aptly named for a custom shirt maker, Ratio Clothing is a young company based out of Denver, CO that has set out to provide reasonably priced, American made, dress shirts. My Blue Oxford Campus Shirt fits perfectly, which is very unusual for my 6’5″, beanstalk build. Bespoke shirts sound like an unnecessary extravagance until I take look in my closet at all the poorly fitting shirts I try not to wear. 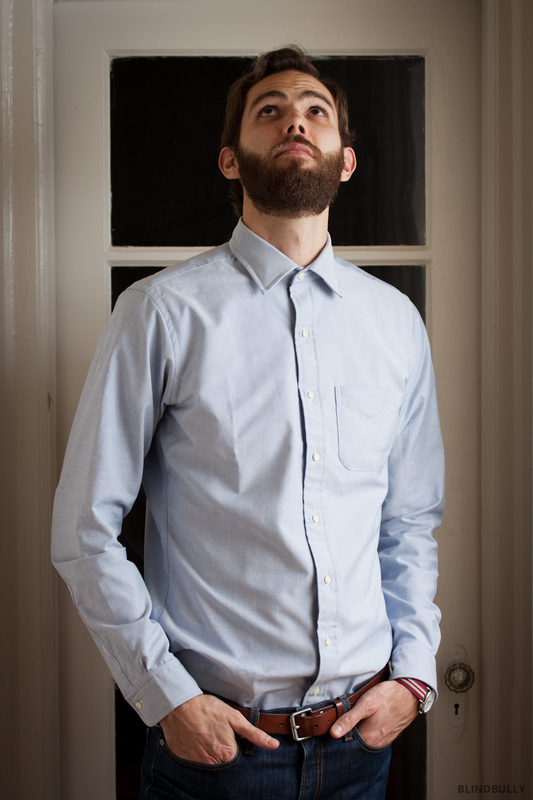 If your weight doesn’t fluctuate it makes sense to buy a few staple shirts that will fit great, never go out of style (such as blue or white oxfords), last for a long time, and stay tucked in. They also guarantee the fit and hold on to your measurements once you’re dialed in. When thinking about purchasing be aware that Ratio’s shirts can take up to a month to arrive if you order during the holiday season–I ordered mine on Dec 12th and received it Jan 13th. Thankfully they warned me in advance so it wasn’t a surprise and, now that I have the shirt in hand, I can assure you it was well worth the wait. 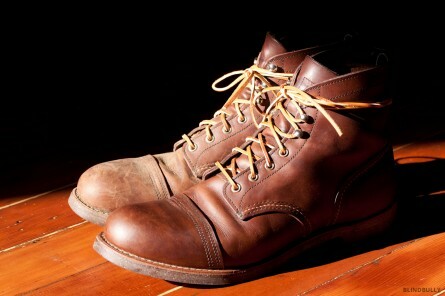 I ordered my first pair of Bonobos back in 2009 when they were made in the USA with organic cotton. 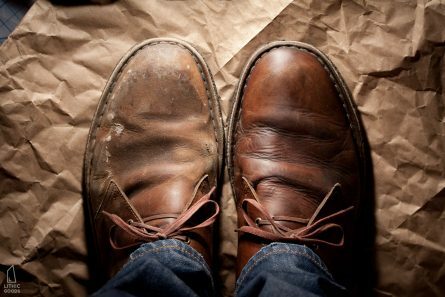 Since then some things have changed (as of March 2013 they’ve raised a total of $73M in funding) however their denim is still made in the USA, albeit of conventional cotton. Of course the pants themselves still fit great and over the years they have become the only brand of pant I wear. 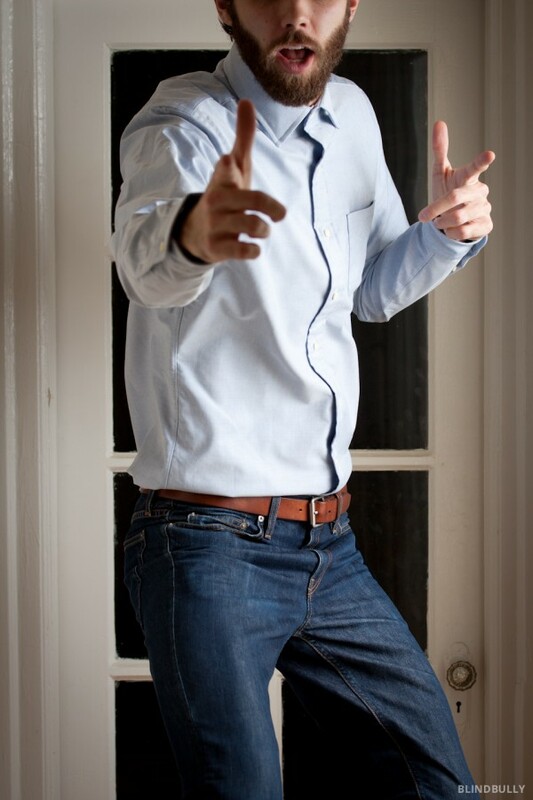 In January 2012 I moved from chinos to denim with my first pair of Flatirons. As my Levis slowly disintegrated and my Flatirons began to show my cell phone I pulled the trigger on the second pair you see in these photos. They are a simple dark wash jean that skip the factory pre-sanding so they look great and will fade on the actual creases of wear. 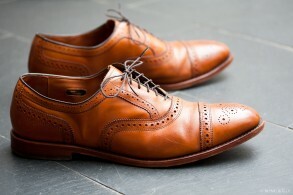 They are a bit tighter than the straight slim chinos, but look fantastic and invite many compliments. I might do a future post on Bonobos chinos, but if you’re looking I highly recommend the Hickory Slicks or Jet Blues.